“Woe to you, scribes and Pharisees, hypocrites! For you are like whitewashed tombs, which outwardly appear beautiful, but within are full of dead people’s bones” (v. 27). Hypocrisy is a dangerous sin because few hypocrites consciously say one thing while doing another. In most cases we ignore the contrast between our words and deeds, keeping ourselves blissfully unaware of how we live inconsistently with our professed beliefs. When this happens we overlook our sins, falling into habitual transgression without even knowing it. Sometimes we are so blind to our misdeeds that we need confrontation in order to see our sin. This has certainly been true of many scribes and Pharisees, whom Jesus calls out near the end of His earthly ministry. Today’s passage gives us the sixth woe our Savior pronounces upon these leaders for their hypocrisy (Matt. 23:27–28). This time Christ compares the scribes and Pharisees to whitewashed tombs full of “dead people’s bones and all uncleanness.” The offensiveness of this statement to Jesus’ opponents is hard to underestimate. Touching a dead body is among the most defiling acts recorded in the Mosaic law (Num. 19:11–22); thus, Jesus is declaring that the most rigorous scribes and Pharisees are some of the most defiled people in Israel. Few scribes or Pharisees can accept this, of course. Nearly all of the outward signs contradict Jesus; after all, these men are greatly respected for their piety and attention to the smallest details of the Law. They are clean-looking, just like any whitewashed surface. Look closer, however, and you will see that Jesus is right after all; the whitewashed surface in this case is a tomb, which conceals the death and darkness within (Matt. 23:27–28). Many scribes and Pharisees want to appear law-abiding, when in fact they are lawless, each hypocrite having only “a soul deadened by sins” (John Chrysostom, Nicene and Post-Nicene Fathers, first series, vol. 10, p. 442). 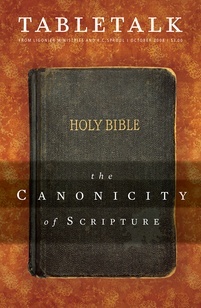 John Calvin’s commentary on Matthew 23 says that “the children of God ought to desire to be pure rather than to appear so.” The problem with these leaders is that they are more concerned with what others think is scrupulous than with true obedience to the Law — attitudes and deeds of justice, mercy, and faithfulness (Micah 6:8; Matt. 23:1–28). May we never repeat this error. Truth be told, there is a bit of hypocrisy in all of us. We often try hard to impress other people with our piety, trying to get the pastor and other people to notice our willingness to pray and serve. But are we just as willing to lend a hand to those in need when no one is around to see us? Do we do good even if no one but ourselves and the Lord will know about it? Let us be able to answer both of these questions in the affirmative.